Heritage Greens is one of Centennial's premier neighborhoods. It is made up of spacious single family homes. The neighborhood organization is quite active, planning social and athletic activities throughout the year. It is close to South Suburban Golf Course and residents have access to a pool, and tennis courts. If you want to live in one of the premier neighborhoods in the Metro Denver area then Heritage Greens should be at the top of your viewing list. 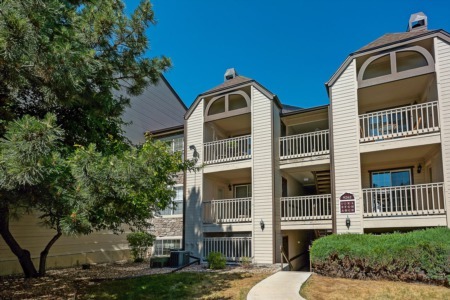 Located in the southwestern part of Centennial this community is directly adjacent to the South Suburban golf course so if you're a golf fan you won't have very far to travel to play a round or two. Featuring just over 570 homes this is a very close-knit community of families who care about their homes and you'd also be investing in a property that is very close to all the local amenities and activities that any family could need. There is a community area in Heritage Greens which is a focal point for families in the neighborhood to use as a social area for all kinds of events and parties. This same community center recently underwent a $2.6 million dollar refurbishment and renovation program which included installing a new pool, tennis courts and other facilities. In terms of open spaces to enjoy Heritage Greens has plenty to offer with Willow Spring Open Space being the biggest open area in this part of Centennial although you can also take a trip to Linksview Park nearby too if you wish. Your shopping needs are taken care of by the presence of Foxridge Plaza Shopping Center, a King Soopers and also the nearby Lone Tree shopping center. If you've overshopped and want to get a workout in then you can visit the massive Life Time fitness center in Heritage Greens - it's one of the biggest fitness centers you've ever seen! Heritage Greens is ideal if you're looking for community where families not only matter but are also well catered for.